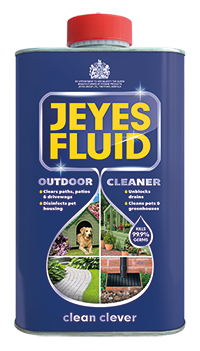 Jeyes Fluid, proudly keeping the nation’s gardens clean for just over 140 years. Our market leading, signature product was where it started and we have since expanded to a range of 16 cleaning products, ideal for both indoor and outdoor use. Known and trusted by millions globally to ensure a clean and virtually germ-free home, inside and out. 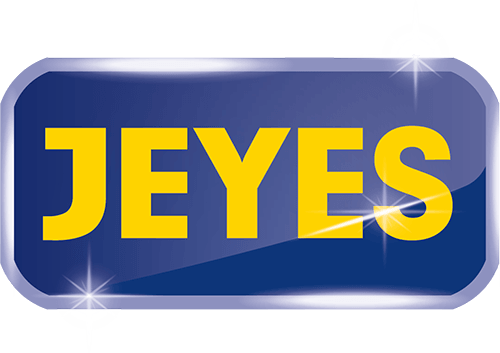 Beyond that Jeyes has become the flagship brand of Jeyes Ltd, who offer four other brands, namely Bloo, Parozone, Easy and Quickies. We’re currently enjoying our 140th year since the development of Jeyes Fluid. Trusted by generations, Jeyes Fluid continues to be the biggest selling outdoor disinfectant. Founded in 1877, it didn’t take John Jeyes long before his company earned a Royal Warrant, awarded in 1896. Since then Jeyes have been proud to supply the Royal Household with cleaning solutions. Take a look at 140 years of Jeyes video. Jeyes Fluid remains the outdoor disinfectant of choice for millions of households. The perfect partner for keeping a clean garden and outdoor space, it cleans and disinfects paths, patios, decking and unblocks drains. it can be used on plant pots, containers, seed trays, hanging baskets, greenhouses, garden tools, as well as animal housing and much more. And in 2015 Jeyes manufactured over 1.3 million litres of Jeyes Fluid to keep Britain’s gardens and outdoor spaces fresh and clean for us all to enjoy! The Royal Horticultural Society is the world’s largest gardening charity and one of the most respected brands. The RHS has been a passionate force at the heart of horticulture for over 200 years, inspiring millions of people to get involved & improve their gardening skills. They organise the world’s biggest and best flower shows with four fabulous gardens at their disposal.